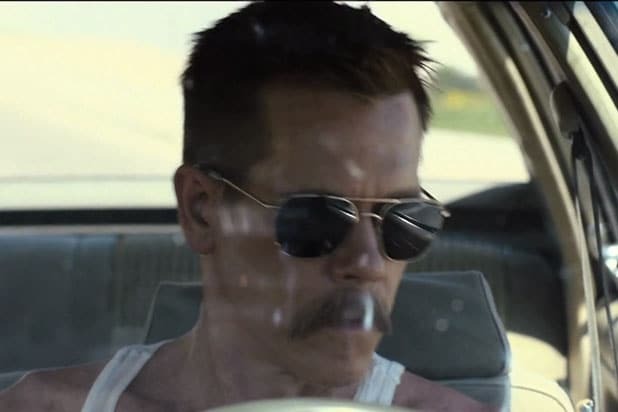 In the first official trailer for the Jon Watts thriller “Cop Car” starring Kevin Bacon, it becomes clear that Bacon’s character will do anything to get what he wants, even if it’s at a deadly price. Two boys (James Freedson-Jackson, Hays Wellford) find an abandoned police car in a secluded glade, and take it for a joy ride that eventually turns into a deadly game of cat-and-mouse, and Bacon’s character, a corrupt sheriff, aims to get his car back at all costs. The film premiered at the Sundance Film Festival in January, and co-stars Shea Whigham and Camryn Manheim. Back in January, Focus Features’ alternative distribution initiative Focus World acquired U.S. and U.K. rights to the film, as the TheWrap previously reported. Watts co-wrote the script with Christopher D. Ford, and he also produced the film with Cody Ryder, Alicia Van Couvering, Sam Bisbee and Andrew Kortschak. Bacon serves as an executive producer along with Walter Kortschak, Lance Acord, Jackie Kelman Bisbee, Frank Brenner, Bill Perry and Tom Valerio. Co-producers are Theodora Dunlap, Michaela McKee and Isabel Siskin. Bacon starred in the original 1984 “Footloose,” “X-Men: First Class” and “Crazy Stupid Love” as the infamous David Lindhagen. He will be seen in the highly-anticipated “Black Mass,” starring alongside Johnny Depp as FBI Special Agent Charles McGuire, premiering September 18. Watts is best known for directing “Clown” starring Eli Roth and Laura Allen. “Cop Car” drives into theaters on August 7.